steak and potatoes: Pattern mania! It's been in all the editorial spreads and all the shows. what everyone seems to be saying is if you love color and pattern - this year is your year to stock up. go forth with your brights, repeating, floral, plaid, animal and for the love of god - mix them up!! 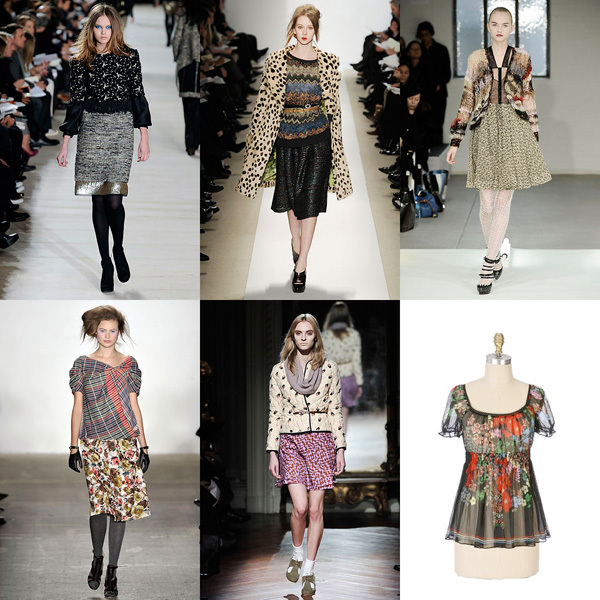 Ooh leopard print and Missoni esque stripes, I'm taking notes..
i really love all of those.